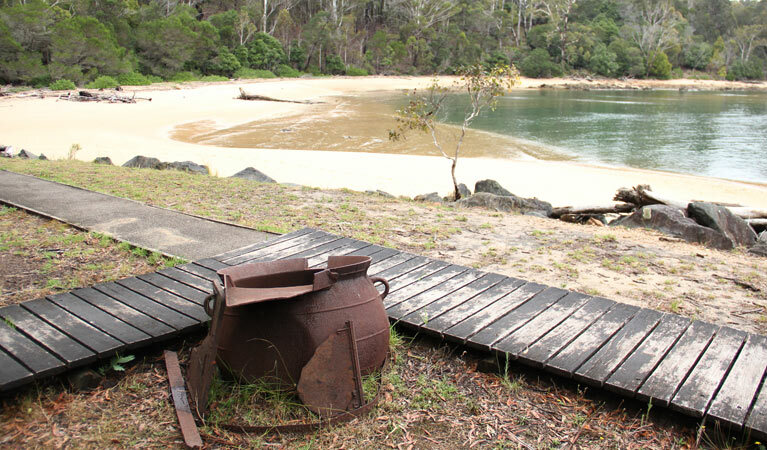 The historic Davidson Whaling Station is located at Kiah Inlet on the shores of Twofold Bay, just a short drive from Ben Boyd National Park. 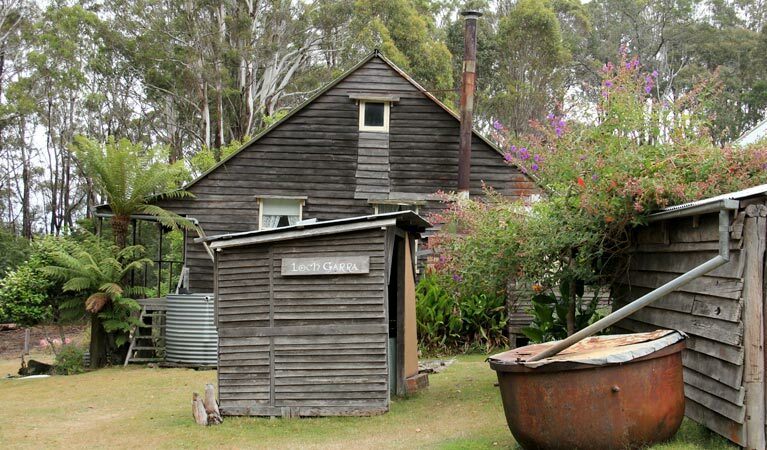 Take a guided tour to see the fascinating 1890s weatherboard homestead. See where the Davidson family took to the seas, assisted by a pack of killer whales. The skeleton of the pack’s leader, Old Tom, is today displayed at the Eden Killer Whale Museum. You can see where the blubber was processed and learn about the whaling operation. This is a fantastic site enriched by natural beauty and the preserved past. Make it your destination! Ben Boyd National Park entry is $7 per vehicle per day. entry to Davidson Whaling Station Historic Site is available at any time without a guide. Picturesque and unique picnic spot with tables, amentities and non-flush toilets. The boardwalk to the historic house is wheelchair accessible, though the beach is not.